Celebrating 10 years of Fun for Our Guests! Race Like a Local at Umigo! Serving Up The Best Events & Fastest Fun For 10 Years! Reservations are not required, but are recommended. We respect your time, we don't make you stand in line. RACE MORE. RACE FASTER. RACE LOCAL. 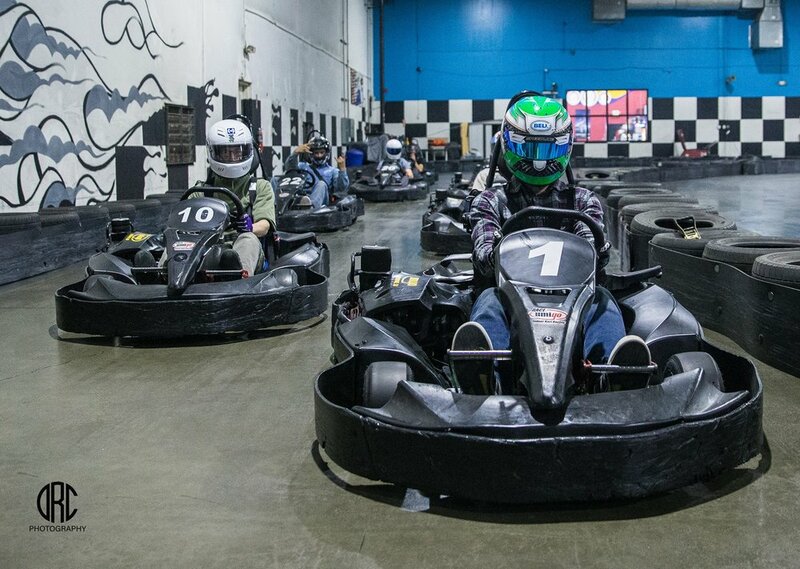 Umigo Indoor Kart Racing & Event Center is locally owned and operated with YOU in mind. Race high performance, unregulated fuel go karts at breathtaking speed. Host your company party or team building event. Plan a family celebration in one of our many accommodating event spaces. Drop by for our weekly racing specials. As a small family business, our guests come first and we're here to make sure your experience on and off the track is a great one! DIFFERENT TRACK LAYOUTS MAKE FOR MORE RACING FUN! Why race the same track over and over again? At Umigo we update the 30+ track layouts every 2-3 weeks to keep the racing fresh, fun and exciting! Umigo has the largest indoor track area in the Bay Area! Check it out. NEVER WAIT IN LINE, BOOK YOUR RACING AHEAD OF TIME! At Umigo we know your time is valuable, so we don't waste it making you stand in line. Call ahead and book your racing time! BOOK. CHECK-IN. RACE. REPEAT. Electricity is for your awesome Pedego Electric Bike, gas is for racing! Umigo karts are the real deal, highest output unregulated fuel go karts used indoors! Umigo can host groups from 6 to over 500 guests. Your dedicated event planner is your one stop coordinator and customizes your group fun, food, beverages and other activities. Umigo is a fun place that is great for team building, meeting with friends or to make new friends. would recommend bringing your family and friends to this place. You won't regret it, but you will talk about it for days after your race.